Welcomings... Blessings... Namings... Christenings... and Baptisms . Are you looking for a special way to welcome your little one into the world? Ask Pastor Pam About How She Can Make Your Child's Ceremony MORE THAN Extraordinary. to Make YOUR Child's Day Exactly as YOU Want It To Be! I am pleased to offer Non-Denominational Baby Naming Ceremonies and Christenings as part of my outreach to families and the community. Babies are such an amazing gift and becoming a parent regardless of whether it's for the first or sixth time, is one of the most rewarding and humbling experiences of one's life. If you would like to welcome your little one into the world with a Baby Naming, Dedication or Christening Ceremony, I am here to serve you. "I found Pastor Pam through an online search and immediately upon speaking to Pastor Pam on the phone; I knew instantly that she was the perfect person for my daughter's christening ceremony. My husband is Jewish and I am Christian so I asked Pastor Pam to weave some Jewish traditions into the Christian ceremony. While she had never performed a Christian Jewish ceremony, Pastor Pam researched and blended a beautiful, heartfelt ceremony that was personalized for our daughter. I highly recommend Pastor Pam for all your Baby Christening wishes as my entire family was so pleased with the warm and lovely christening ceremony. I am so thankful to have found Pastor Pam as I will be contacting her for all of our future needs." I Offer FREE Standard Birth Celebration Ceremonies to Couples For Whom I Officiate Marriage Ceremonies. ** Does not include mileage or travel expenses. 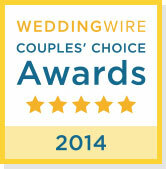 "Everyone already knows that Pastor Pam writes amazing wedding ceremonies. 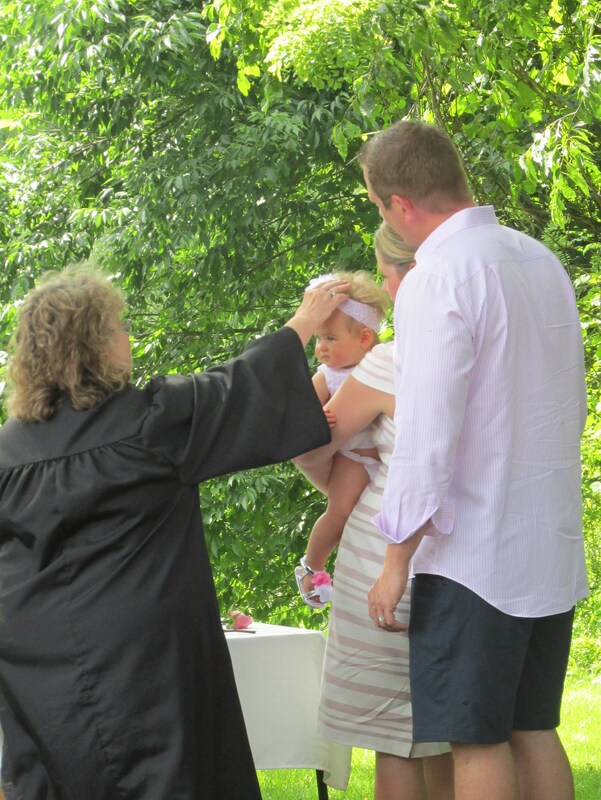 She officiated our wedding on June 15, 2013 and exactly a year later she performed a baby naming ceremony for our newborn daughter, Tessa. Pastor Pam was put on this Earth to create ceremonies that express everything you want to say, but have never been able to put into words. She did this for Tessa. Pam spent her time finding and drafting the most perfect poems, verses, words, ideas for our baby. Our family and friends that gathered were again just so impressed with what a perfect ceremony she scripted. In addition to the ceremony, Pam also had pictures taken, a DVD of the ceremony recorded, and gifted a beautiful embroidered blanket to Tessa that will always be treasured. We are so lucky to have found Pastor Pam. She has been there for two of our most important moments in life, our wedding and our daughters blessing. We will only be so lucky that she continues to provide her services for any future baby naming ceremonies! She has become a part of our world and a part of her family. We thank her from the bottom of our hearts!" There is nothing more precious than a new-born baby and there is no set way of doing things when it comes to holding a Baby Naming Ceremony or Christening. Parents can choose to add special things into their ceremony or take ideas from sample readings that I provide. The Ceremony can be as personalized and unique as you wish it to be and when finished it will be one that is not only meaningful, but memorable, and a true focal point in your child’s development. So, what is the difference between a Baby Naming Ceremony and a Christening? Both Christenings and Naming Ceremonies have similar elements in that they both welcome the child into the community. The difference is that in a Christening you are welcoming the child into the Church community whereas in a Naming Ceremony you are welcoming the child into your own community of family and friends. In a Naming Ceremony the promises are made by the parents and the supporting adults. They are of love and support for the child whereas in a Christening the promises are committing the child to be brought up in the Christian faith. 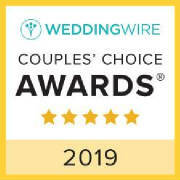 Regardless of which one is best suited for you, I will custom write your Ceremony, travel to whatever location you choose, and go the "extra mile" to make sure your child’s special day is just as you want it. I will also prepare a beautiful portfolio with a professionally bound copy of your child's Ceremony, a certificate suitable for framing and inspirational reading materials that you might enjoy reading. . The birth of a baby is a joyous occasion and in welcoming and naming a child, we celebrate one of God’s greatest miracles; the birth of a human being. The responsibility of a child’s life and happiness is not only the concern of his/her parents but also of the community. Just as friends and members of the community are invited to share in the gathering of love for the newborn child, they too are asked to share in the responsibility for raising and caring for the child. It has been said that it takes an entire community to raise a child and I believe this is true. The more love a child receives, the more he/she will have to offer others and the more people in his/her world, the richer that world will be. In a Christening, parents are asked to declare their intent to raise the child in a Christian home and to always surround Him with Christian truths and principles. In the naming portion of the ceremony we can include reasons why the baby’s name was chosen, pledges from parents and others involved in the ceremony, as well as special vows from other siblings. Parents will verify their commitment to their child in the form of a promise, a poem, verse, prayer or blessing and older siblings might also give such a pledge. Pledges and Commitments can be extended from Godparents, Guardians, Sponsors and Mentors if you choose to have them as part of your child’s life. These people will also pledge a lifelong interest in the moral and ethical development of the child. Grandparents may also wish to make promises in the form of the love, support and guidance, patience and understanding they wish to give the child as his or her life unfolds. Candle rituals and blessings are an important part of a Baby Naming Ceremony or Christening. Together parents light a candle for the baby as I pronounce a blessing upon the baby and ask God’s guidance and direction in both the parent and child’s life. At this time the baby is officially welcomed into the world with a wish for a life filled with love and happiness in a peaceful environment, sheltered by God’s love. Gifts and tokens can also be exchanged with the child or child’s parents and family if this is something you would like to have included. A Baby Naming Ceremony and/or Christening offers a sense of tradition, of occasion and of offering oaths and reassurances towards the care for a newborn baby. They have no legal or religious requirements, just a beautiful pronouncement of love upon a child’s life, enriched by the love and caring of the Heavenly Father. They promote a wholeness of family and community and enrich the lives of all involved. 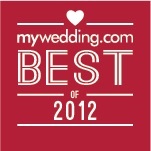 Fees are structured to support time dedicated to writing and designing your ceremony. I custom-write each and every one of my ceremonies and no two are alike. This means that your ceremony will be one of a kind, totally unique to you and your family and there will never be another one exactly like it. Factors in determining the cost of your ceremony will include meeting time and travel, as well as time to write and officiate your ceremony. The fees are usually as stated on this page, but since every ceremony is unique, please e-mail me for a quote. Please be assured that all fees will be discused openly and agreed upon prior to booking and there will be no hidden charges. Additional services, such as travel beyond a certain distance from my office may be extra. This is a Heartwarming Love-Inspired Ceremony that can include friends and family members of the new baby as well as God-parents or anyone else that you might like to make a special part of your child's upbringing. If you have special readings or poems that you would like to incorporate into the ceremony, we can certainly do that, and if you or other family members would like to speak a blessing over your child, that would be a wonderful addition. This Ceremony also includes your choice of a Rose Petal Shower or Building Blocks for the Future Add-On to include family members and make them a special part of the day. It would be my pleasure to welcome your child into the world with a special blessing ceremony and I look forward to the opportunity of making a memory your child will be able to look back upon and treasure later. You will receive a copy of your child's ceremony as well as a Certificate commemorating the occasion. Many people like to include family traditions, inter-faiths and various religious customs into their child's ceremony. These are always wonderful options. It offers a sense of tradition, heritage and is a great way to pass down cultural elements of importance to your family. You may choose to include readings or poems that hold special meaning and you might also choose to speak blessings or vows over your child as a way of expressing your love and dedication. This Ceremony also includes the Rose Petal Shower, Building Blocks for the Future, or both if you desire. Your baby's dedication is a day that your entire family will remember and my goal is to make it special in every way. You will receive a copy of your child's ceremony as well as a Certificate commemorating the occasion. Mileage and time spent traveling to and from your venue location will be added to all packages, even those that are performed free of charge. MILITARY DISCOUNT: It is my sincere honor and privilege to extend a $50 discount off the price of any Personalized Ceremony to all Active Duty and Retired Military. Valid Military ID Required. PHOTOGRAPHY: Available Upon Request. Please ask for pricing. I also perform Weddngs, Vow Renewals, Celebration of Life Services, House Blessings and other life event sevices. Contact me and let me know what your needs are and I will be in touch.